Merry Christmas! Download “Learning to Walk in Freedom” For Free on Christmas Day! 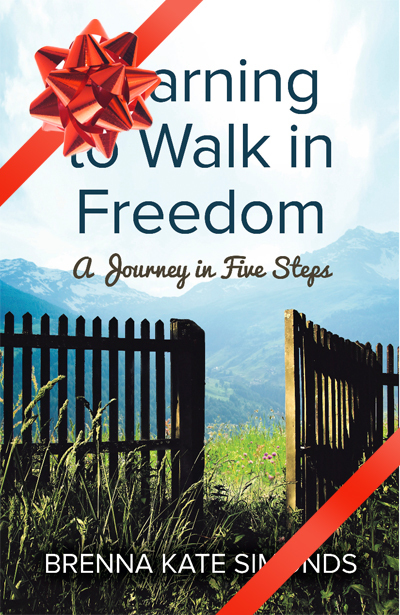 Tomorrow, for Christmas Day only, I am offering Learning to Walk in Freedom for free! If you or a friend receive a Kindle for Christmas, download away! If you have an iPhone or iPad, there is an app that lets you read books for Kindle. That’s what I use. If you already downloaded Learning to Walk in Freedom, why not grab some other resources to help you start the year strong? Here are some of the resources I reference in Learning to Walk in Freedom. Relational Masks by friend and mentor Russell Willingham talks about more about the concept of core beliefs and how these false beliefs impact our relationship with God and with each other. He wrote another great book entitled Breaking Free: Understanding Sexual Addiction & the Healing Power of Jesus. Think Differently, Live Differently by friend Bob Hamp addresses how the way we think impacts our choices and the truth we live out of. The Life You’ve Always Wanted: Spiritual Disciplines for Ordinary People by John Ortberg is an easy but challenging read with a new take on spiritual disciplines. Learn how to work spiritual disciplines into your everyday life. Healing Is a Choice: 10 Decisions That Will Transform Your Life and 10 Lies That Can Prevent You From Making Them by Steve Arterburn. There is an accompanying workbook. Margin: Restoring Emotional, Physical, Financial, and Time Reserves to Overloaded Lives with Bonus Content by Richard Swenson. Sacred Pathways: Discover Your Soul’s Path to God by Gary Thomas – finding your spiritual temperament with its traits, strengths, and pitfalls. This entry was posted in bob hamp, Free, freedom, giving, healing, learning to walk in freedom series, living unveiled, ministry, personal growth, resources, russell willingham, self-care, support, thought life, tools for the journey, writing by Brenna Kate Simonds. Bookmark the permalink.